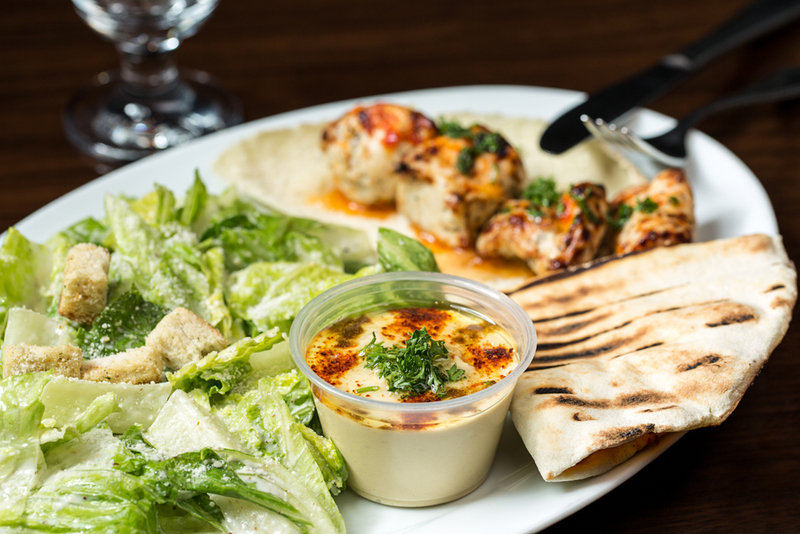 To capture a small dose of this beautiful country, La Grill brings the most authentic of Lebanese cuisine to Toronto. An inviting décor, magnificent ambiance and spectacular hospitality set the stage for a small trip to Lebanon, without the expensive plane ticket. Let us spoil you with all the tasteful riches Lebanon has to offer. And of course, just as in Lebanon, every customer that walks through our doors at La Grill becomes family - and family deserve the very best. A delicious puree of chick peas, tahini, fresh garlic, lemon juice & olive oil. Hummus with a kick! 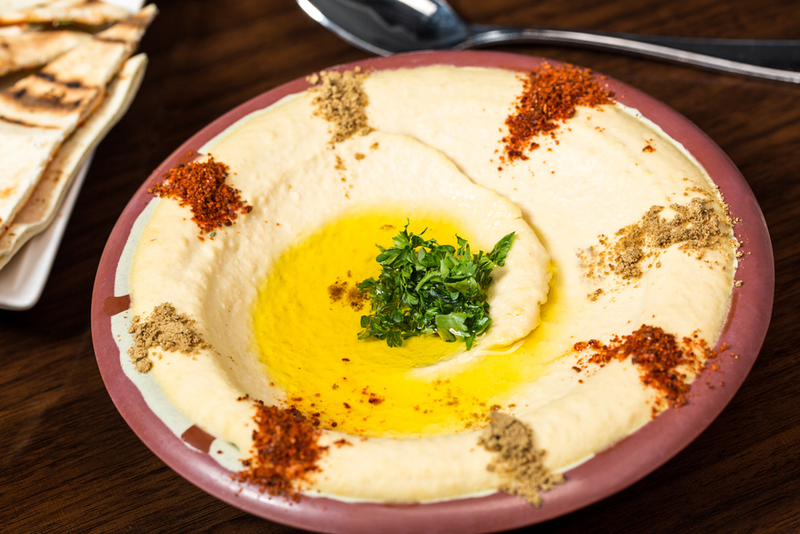 Our delicious hummus topped off with slices of filet mignon to make a great combination of flavour. 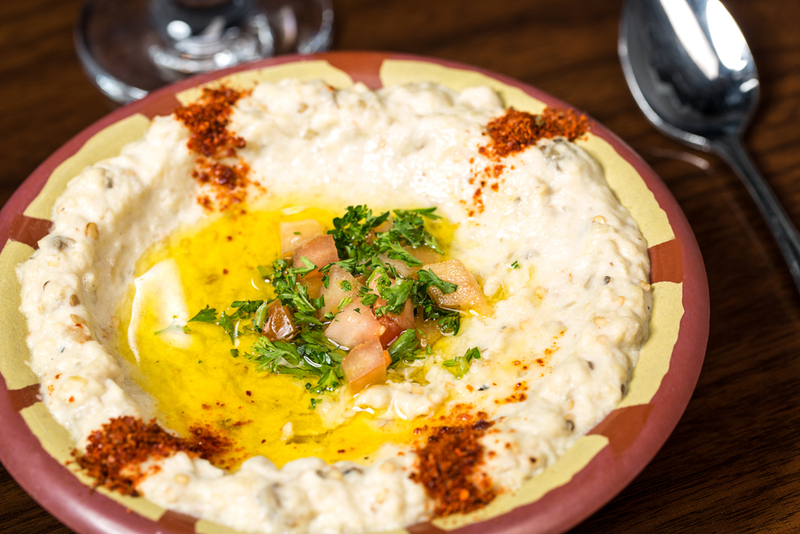 A mouth watering dip made of roasted eggplant, tahini, lemon juice and fresh garlic. A delectable yogurt dip lightly seasoned with mint and a drizzle of olive oil. An appetizing red pepper dip mixed with walnuts, bread crumbs and spices. Armenian sausage sautéed with Mediterranean spices. 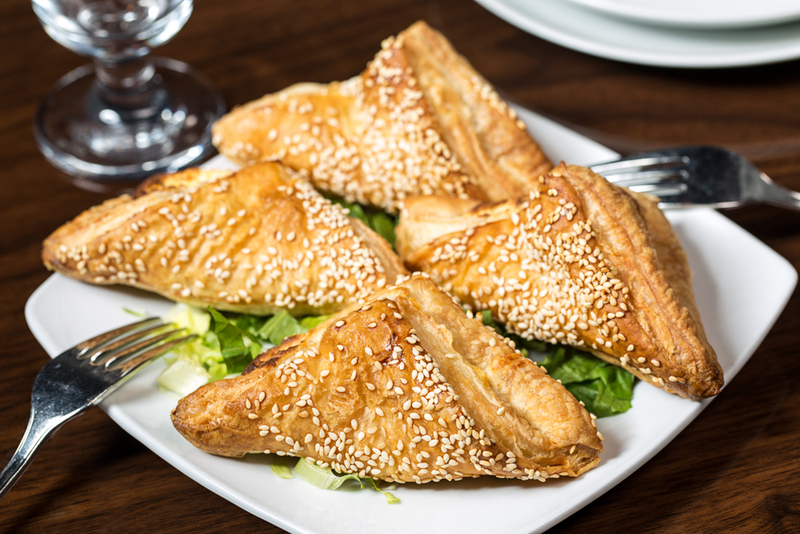 Feta cheese wrapped in a thin layer of phyllo dough then baked until golden brown. A mixture of lentils, onions and olive oil to make a hardy soup! Shrimp sautéed with butter, lemon juice, garlic and spices until perfectly tender. 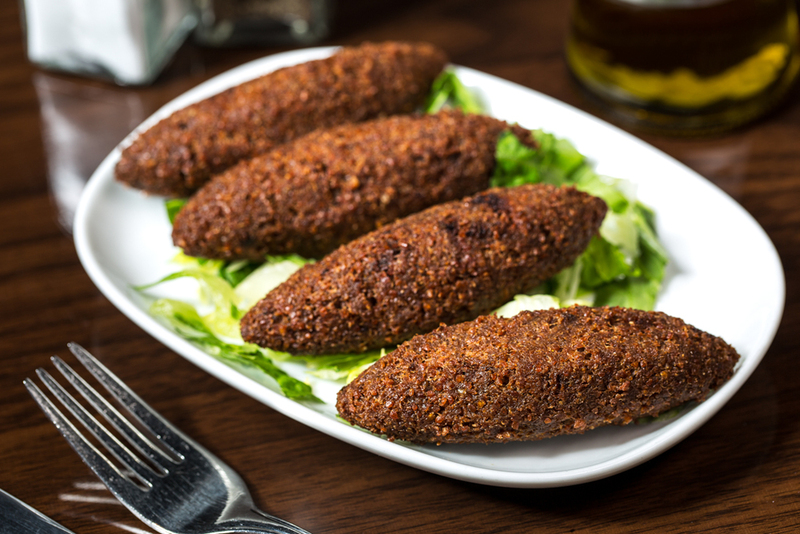 Oval shaped meatballs with seasoned ground beef mixed together with wheat seeds and pine nuts then lightly fried to perfection. A middle-eastern delicacy. Ask your server for details. Thyme, spices and seseam seeds on fresh baked dough. Shredded pieces of chicken breast or beef seasoned and cooked till tender and juicy. Spiced beef on thinly baked pizza dough. Halloomi Cheese on fresh baked dough. A traditional middle-eastern salad! Finely chopped parsley, tomatoes and green onions mixed together with wheat seeds and mint then topped off with fresh lemon juice and extra virgin olive oil. 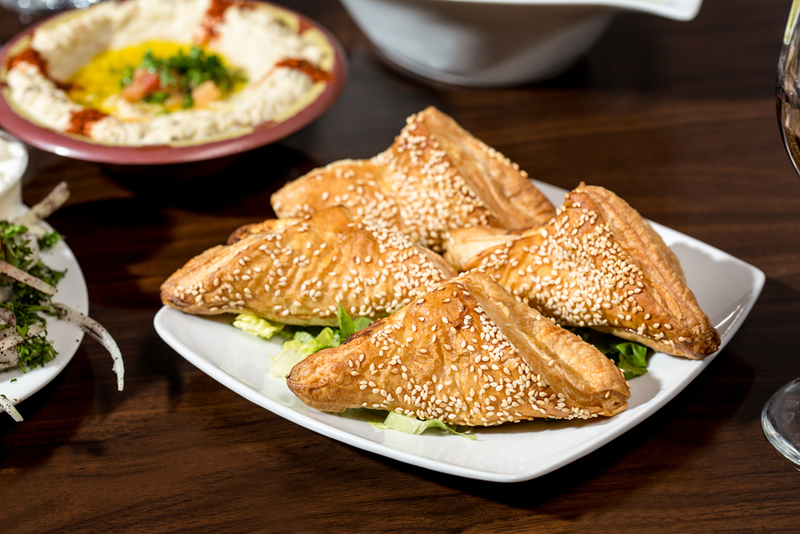 A Lebanese favorite! A mix of romaine lettuce, tomatoes, cucumbers, green onions and toasted pita bread tossed together with mint, fresh lemon juice and extra virgin olive oil. Crisp lettuce, juicy tomatoes, cucumber, red onions and kalamata olives topped off with crumbled feta cheese and oregano. Fresh romaine lettuce tossed with our creamy Caesar dressing, finished off with a sprinkle of parmesan cheese and croutons. A refreshing mix of romaine lettuce, tomatoes, cucumber and mint topped off with fresh lemon juice and extra virgin olive oil. Specially seasoned ground beef stuffed in a warm pita with tomatoes and pivaz. 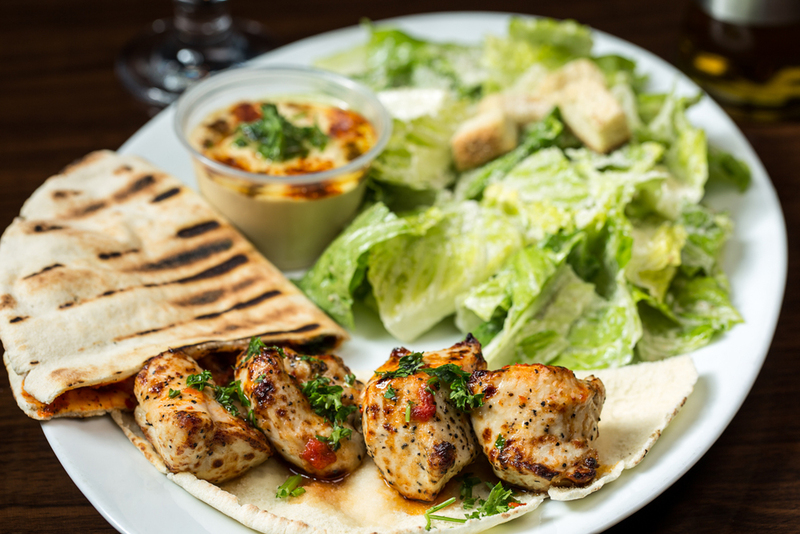 Our specially marinated chicken breast wrapped in a warm pita and stuffed with lettuce, tomatoes and a hint of garlic sauce. 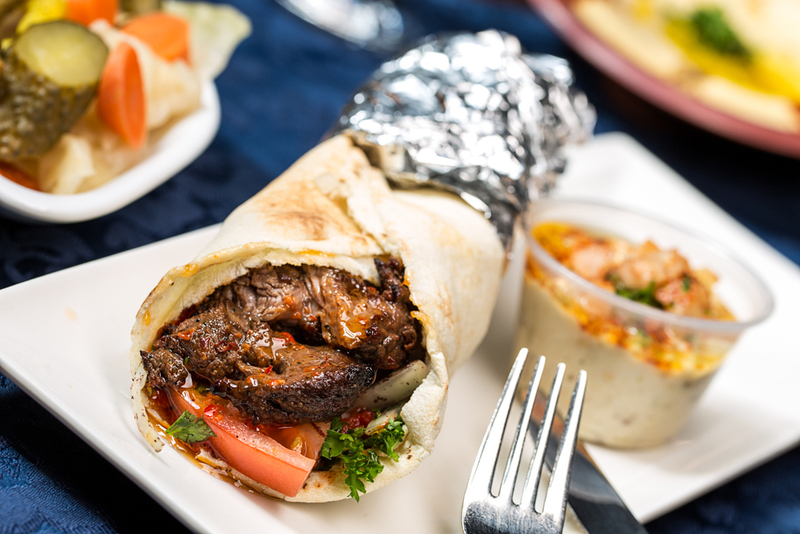 Our delectable filet mignon stuffed in a warm pita with juicy tomatoes and pivaz. 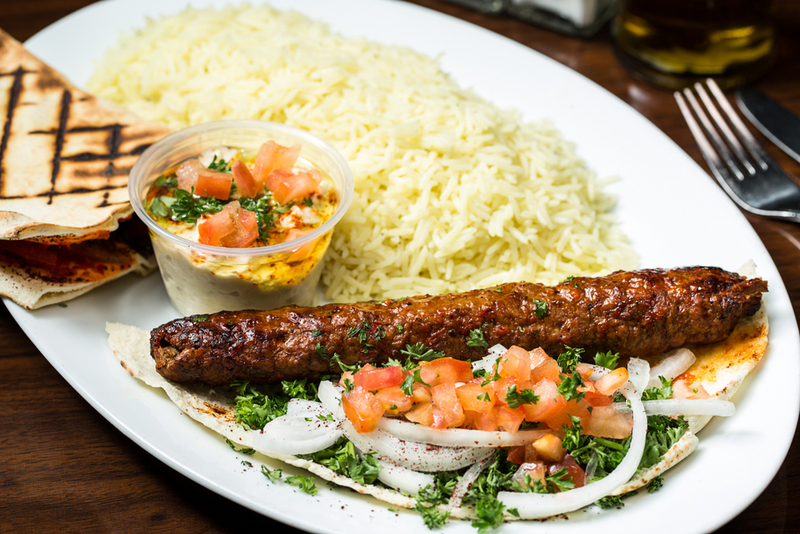 Tender, succulent lamb seasoned and wrapped in a warm pita with all the fixings. Shredded chicken stuffed inside a warm pita with crisp lettuce, juicy tomatoes and topped off with a hint of garlic sauce. 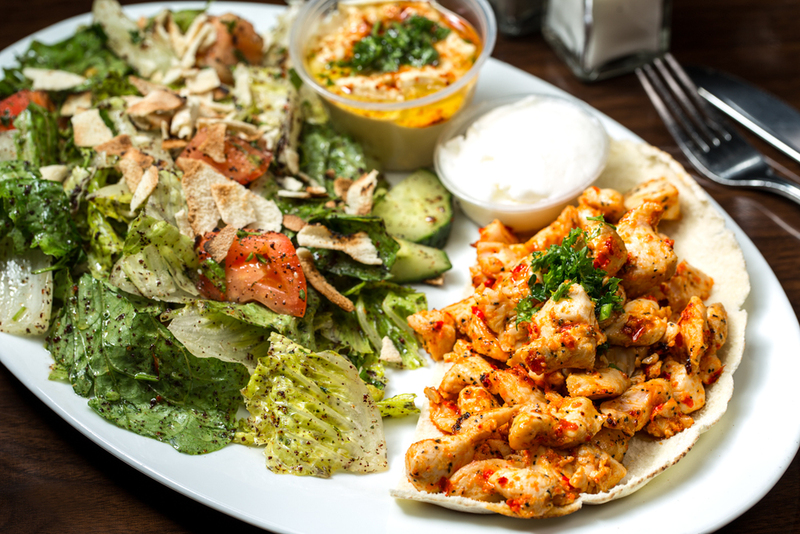 Our signature dishes are specially marinated, fire-grilled, and served with hummus, La Grill* toasted pita and your choice or rice, salad, or French fries. Substitute your salad for Tabuleh or Fatoush for only $1.50 more. La Grill’s catering services gives you the opportunity to entertain professionally in the comfort of your own home or business. Our enthusiasm about our food and attention to detail allow you to enjoy your event with your guests rather than worry over the food. We work with each client’s special needs to create an appropriate menu for each individual occasion. At La Grill, we make sure every event is memorable. We cater to each one of your needs as if it was our own. With our warm ambience and friendly staff, your guests will leave your function feeling as if they never left home. Whether it's a bridal shower, baby shower, first communion, baptism, birthday, engagement or wedding, we guarantee you and your guests leave happy and satisfied. Our event planners also provide exceptional corporate services. Ask one of our planners about hosting your next meeting or office function at our restaurant, and take a look through our photo gallery. Your clients and employees will thank you for days to come. La Grill Restaurant - Exquisite Lebanese & Mediterranean Cuisine.